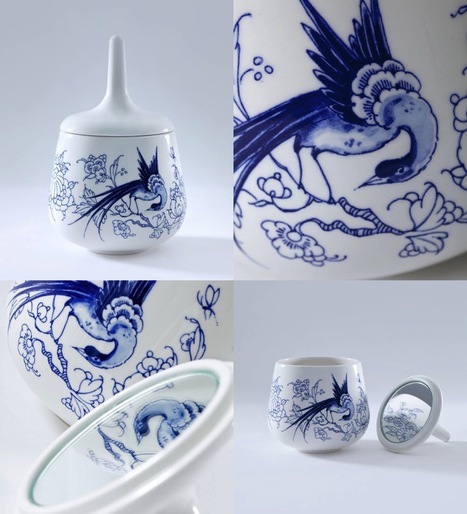 Delftware master painters are combining their art with modern design in a new design label by Royal Delft called Blue D1653. Blue D1653 is a unique collection of decorative objects and consumer products for food, mood and lifestyle that combines design of the present day with the long and considerable history of Royal Delft. The name Blue D1653 comes from Blue for Delftware, 1653 for the founding year of Royal Delft and D for design. Says Royal Delft, "Call it contemporary nostalgia, new originality or the purest form of Dutch Design; Blue D1653 brings together the best design of two eras in one collection." 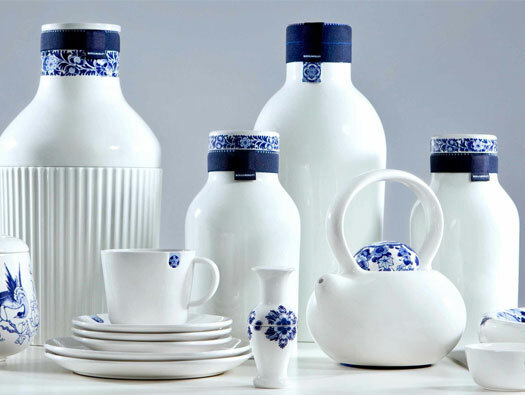 Royal Delft is the only remaining producer in Delft from the 17th century. 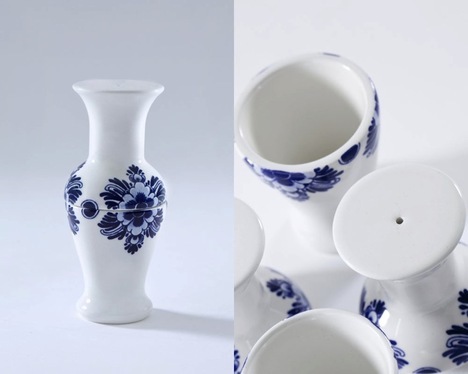 Participating designers include Damian O'Sullivan, Arian Brekveld and Chris Koens as well as master painters Caroline Hartman, Simon van Oosten and Paul Bartels. Via Mocoloco. Love these. 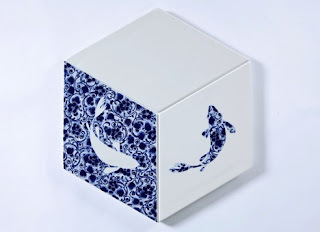 Great to see traditional delftware patterns combined with contemporary design.